Concentrated, odorless and environmentally safe, this cleaning solution is an effective, fast-acting degreaser which also removes oxidation and brightens metal to a like-new finish. One Gallon. 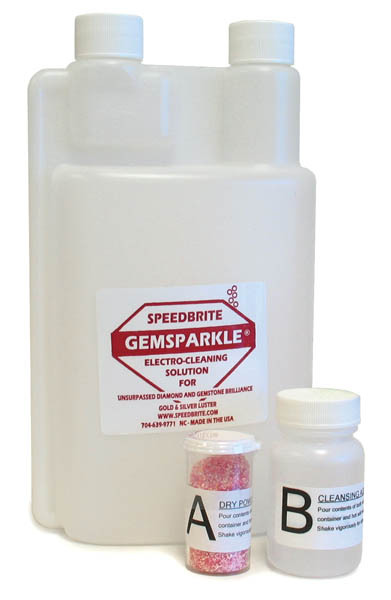 Gem sparkle acts as the electrolyte in the ionic cleaning process, and can be used repeatedly before it needs to be replaced. 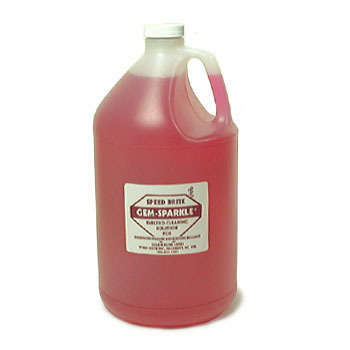 Dilution is one part Gem Sparkle to six parts water. 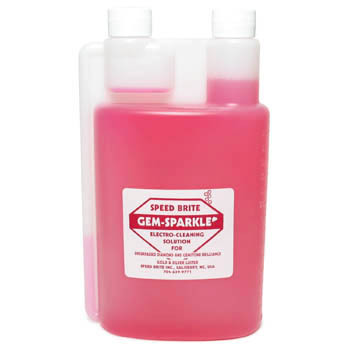 You’ll find that Gem Sparkle is a economical, effective cleaning agent.